Justin joined the team at Ambassador Advisors in October of 2018 and brings a great deal of personal service experience with him. Working while in law school, Justin assisted in providing individualized legal representation to low income individuals and families, advocated for debtor’s rights, provided closure and assistance to injured individuals, and assisted in legacy planning strategies. 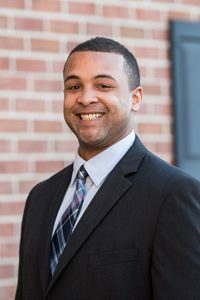 Justin is a graduate of Susquehanna University with a Political Science degree, where he served his academic community as an International Ambassador for international students and as a Legal Environment tutor. After graduation, Justin enrolled at Widener University Delaware Law School obtaining his Juris Doctorate. Originally from Pennsylvania, Justin is an avid sports enthusiast and huge Pittsburgh Steelers fan. He also holds a strong belief that it is our individual and collective responsibility to use our talents and knowledge to reach out and help as many lives as possible, and he feels extremely blessed to work with a company that shares his goals and beliefs; the love of Christ makes all things possible.